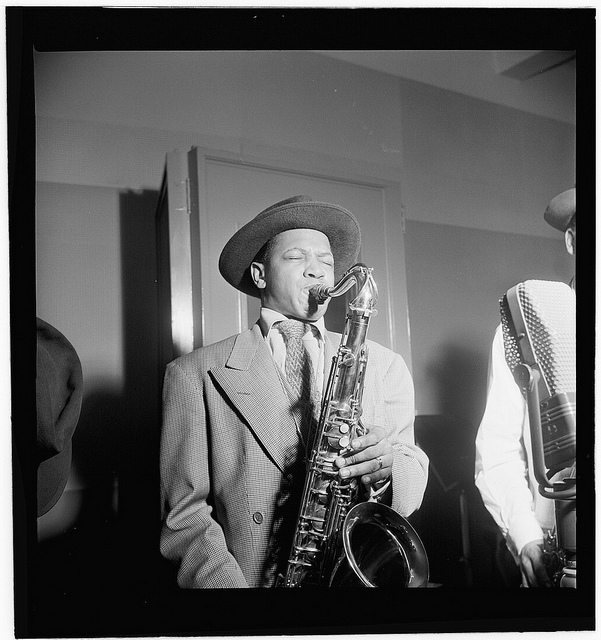 Jean-Baptiste Illinois Jacquet was an American jazz tenor saxophonist, best remembered for his solo on "Flying Home", critically recognized as the first R&B saxophone solo. Although he was a pioneer of the honking tenor saxophone that became a regular feature of jazz playing and a hallmark of early rock and roll, Jacquet was a skilled and melodic improviser, both on up-tempo tunes and ballads. He doubled on the bassoon, one of only a few jazz musicians to use the instrument.